From the ashes of Pale Green Pants (why does this sound like the beginning of a Dr. Seuss book?) emerges the phoenix of the Brian Copeland Band. And while, as has often been said, it may be true that it is not necessarily wise to trust a band named after it’s leader (and never eat at a restaurant called “Mom’s,” either)- would the Syd Barrett Band be as successful today as is Pink Floyd, one wonders, especially without the services of Mr. Barrett, himself?- the Brian Copeland Band manage to avoid any of these commonly held beliefs, rising above their name (Pale Green Pants must have already been a band in Ohio, or something. There is no other explanation as to why this band changed its name) to redeem themselves as capable musicians, who exhibit a strong sense of imagination, despite the obvious lack of it they displayed when re-naming the band. Leader, singer/songwriter/rhythm guitarist, none other than Brian Copeland, has been around the local scene, off and on, for the past ten or twelve years; working with bands such as Dashboard Mary, Funk Knot and the Furleys in the early to mid ‘90s, as well as Pale Green Pants. Here, Copeland is joined by his longtime PGP rhythm section of drummer Gene Ermal and bassist Rob Schrecongost (who was also a member of the Furleys). Lead guitarist Jon Taubman is a new addition, and a fine one at that. His presence frees Copeland to concentrate more on his vocals- though Brian is no slouch as a guitarist either. The songs presented here are ten highly polished, well-recorded numbers, rife with exemplary musicianship. Copeland’s classic, reedy voice resembles, somewhat, that of Kevin Griffin of Better Than Ezra, mixed with elements of REO Speedwagon’s Kevin Cronin and Styx’s Dennis De Young (circa Grand Illusion). The title track imparts a strong pop sensibility, reminiscent of Neil Finn and Crowded House, with undertones of Tad Bachman in the chorus. Supported by Schrecongost’s supple basslines and Ermal’s sure drumming, Copeland and Taubman delicately layer subtly intricate guitars threads into the embroidery of the mix. Taubman’s elegiac guitar nocturne buoys the verses of “What Do You Need,” while the quirky choruses benefit from contrapuntal background vocals. Guest Jake McClain deftly duets with guitar in the solo section. Another well-constructed, well-wrought song. McLain returns on the r&b tinged “Racine,” creating a veritable wall of saxes. He is joined by journeyman keyboardist Wayne Thompson, as Copeland sings a song about a woman so fine, Wisconsin named a town after her. Over Schrecongost’s repetitive, loop-like bassline serves as the fulcrum, while McLain teeters precariously with a daring solo. Sugarloaf’s 1970 hit “Green Eyed Lady” is curiously conjured with this tune. The melodic, jangly, modal country/folk warmth of “Ride” again invites comparisons to Neil Finn; Taubman’s luminescently cumulous guitar interjections are the bed upon which Copeland layers rich harmony vocals. A winner. Underpinned by cello and violin, the moody acoustic ballad “So Beautiful” gives a glimpse of another shade from the broad musical palette which Copeland wields. “The Wait” seems modeled after a Dave Matthews production or two, with McLain’s sax work emulating Leroi Moore’s with the DMB. “Long Forgotten World” is a pretty waltz, with nice background vocals from Tina Wenz. Matthews and John Mayer come to mind as influences on “I Fell”; McLain’s sax vying with Josh Millman’s guitar ornamentations- Copeland’s gritty vocals cutting through the mix. 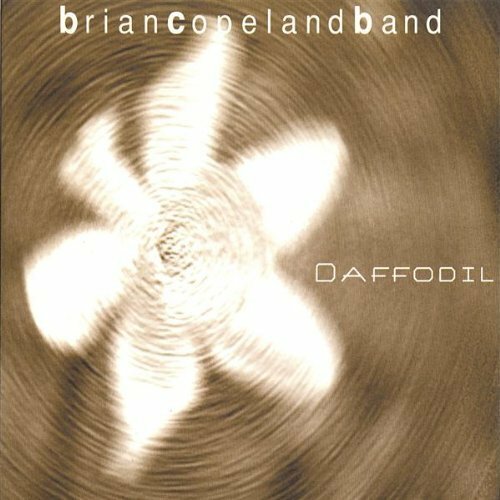 Brian Copeland and his band offer a lot of variety, while maintaining consistency throughout the course of this album. There are no bad songs here, maybe only one or two that are even pedestrian in the least. Fans of well-played, well-executed pop music will find a great deal to appreciate in the Brian Copeland Band. 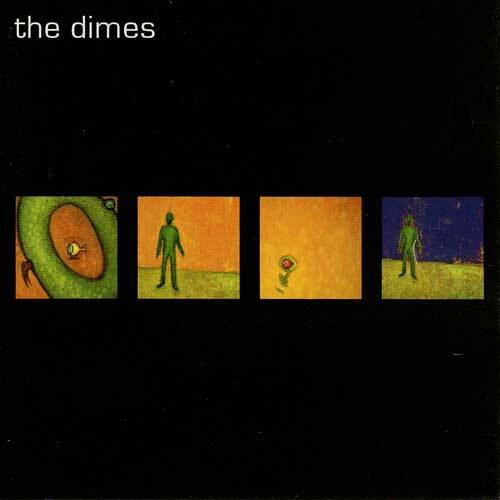 The Dimes are an enterprising quintet, headed by Austin transplant Johnny Clay, who pretty much lays his life out for all to see through the course of the six songs tendered here. It’s a stark world he presents- dry, desolate. austere and barren as a flat, wide prairie; two-dimensional and nearly colorless. His lyrics are strict narratives, void of even one single adjective, with but the barest of similes or metaphors. Everything is as it is in Johnny Clay’s world. There are no illusions nor allusions, only a cold, translucent reality. And yet there is a compelling beauty withal. A mixture of several various elements and styles coalesce. A hint of the Dave Matthews Band, an insinuation of Dashboard Confessionals, a touch of the Smiths, an ounce of the Afghan Whigs, a pound of the Cure (as it were), a husk of Korn, a shred of Creed, even a faint wisp of Aeromith faintly distilled into the brew. All combined with thought-provokingly depressed lyrics, make for a dark passage through deep waters. Exploring the loss of a father (it is not altogether clear just how autobiographical these songs really are), “Everyday,” is etched with the regret of what never came to be, a relationship which never fully bloomed to fruition. Pierre Kaiser’s skittering guitar extrusions meld with Clay’s muddy rhythm guitar, forming a thick nimbus, under which bassist Ryan Johnston, drummer Jake Rahner and percussionist Shawn Tuthill perambulate with steady precision. Even more discouraging, perhaps, “Shawn’s Song” probes a relationship in pieces, over sparse, jagged electric guitar accompaniment and sinewy acoustic rhythm guitar. Tuthill’s muted trumpet solo captures the moody ambience of the song, underscoring the despondent essence, which pervades throughout the entire project. The Dimes are a fine young band who play very well together. It might be interesting to hear what they sound like when the various songwriters in the band are in a better mood, a better psychic space. One would hope that Johnny Clay would find a way to incorporate at least a modicum of descriptive language into his literary oeuvre, which is not without an inherent interest of its own- but is a bit too rigid and sterile, as it is. It would seem that he (and the band) has more to offer than that. Many mysteries surround singer/songwriter Andy Pribhol, starting with his last name- which may or may not actually be Pibal. He uses both names, everywhere, all the time. 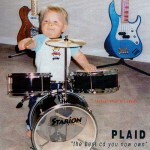 For several years, Andy was the guiding force behind the Plaid Pantry Project: which at one time was rumored to have cut a deal with the quik-mart chain to distribute his albums in their stores. However, with the new name for his project, it would seem that the deal may have soured, with the chain, perhaps, turning corporate after all. Pribhol/Pibal has been absent from the local scene for the past couple of years. His website. www.oregoncarp.com, is dedicated to the sport (?) of fly-fishing for carp, at which Andy seems to imply that he is an adept. As elegant as the art of fly-fishing may be, carp are rather disgusting fish (although distantly related to goldfish and koi), and rather ungainly. Though it is no source of pride for me, as a child I once inadvertently killed a carp at Westmoreland Park, by hitting it with a stone tossed from about forty feet away. I’m not sure how much sport there would be in fly fishing for one. But, Andy’s website seems to imply (either directly or, possibly, euphemistically) that carp are akin to marlin in the sportfish ranks. How much of this is hyperbole, one cannot truly ascertain with Andy Pribhol/Pibal. One thing that is certain, however, is Andy’s raw talent. Here, playing all the instruments (which includes utilizing a child’s drum kit as percussion, throughout) and produces a dozen off-kilter pop songs, whose insights parallel the sort of arcane observations found in the average Shins song. Think of Jonathan Richman jamming with XTC and you’re on the right track. (Richman is loosely referred to in the song “Johnathan Richmond Addiction”). 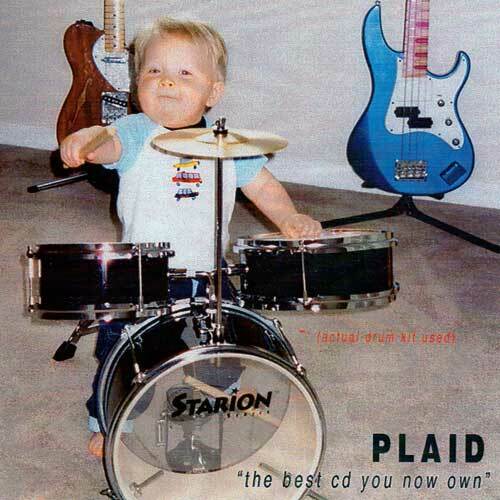 The boast of this album’s title is more than pure jest It’s actually a pretty good record. Andy’s a pretty good drummer, even on a kid’s kit (hey, it’s a good kit, just the same), so all the songs kick in their own right, despite their relative low-fi (“8-track analog”) pedigree. The opening track, “Think It Over” is an accessible piece of country-flavored rock. “My Pet Rocks” is a mystical little rocker that clocks in at just over a minute and a half. “Associate Turned Partner ‘Severe Oblique’” is an ominously hard-charging number. “River Thank You” is rather Beatleseque, with it’s droning guitars, throbbing bass tones and syncopated drum work. Sultry guitars and a jungle beat drive the sensuous “Andy’s Back,” a freaky Beckish piece, which finds our hero expostulating on his own caloric heat. “Andy’s a gas man/Andy’s a gas again/Andy’s back man/Andy’s back again.” Just in case you were wondering. The peculiarly touching “The Amazing Finishes From The Slow Kids Relay,” is brittley pretty, hingeing on a fiery little guitar figure, calling to mind Jeff Beck’s rousing guitar line on the Yardbirds‘ “Over Under Sideways Down,” crossed with the Rolling Stones’ “Paint It Black.” Hot. The aforementioned “Johnathan Richmond Addiction” is mostly an instrumental number, but not without compelling aspects, all the same. “Saul Discovers He’s Unliked” could be a biblical parable, as Saul was the father of Jonathan, although from the lyric, this is hard to tell. Chunky guitars chortle feverishly over throbbing kinetic drums. “Corporate Slacker ‘Thanks Mom’” sounds a bit like Cheap Trick’s “Surrender,” as if played by the Ramones. A roiling Blue Oyster Cult-like riff propels “The Awful LAttortney,” in which Andy seems to be using a cease and desist letter as the source for his lyrics, while scary sounding keyboards wail like banshees behind him. The answer to the Plaid Pantry question? One wonders… The guitar intro to “Cretin Summer Stomp” mirrors that of Ted Nugent with the Amboy Dukes on “Journey To The Center Of The Mind,” a muted moaning squall of a sound. A solitary acoustic guitar serves as the sole accompaniment, as Andy ponders his existential lot in life. Most of the songs here are short pieces of exposition. The entire album was recorded (multiple overdubs and all) in a single evening. The songs bear that rushed, hurried sensibility, not necessarily to their detriment, as most of them have an off-the-cuff sense of spontaneity about them. Andy Pribhol/Pibal displays unquestionable talent, if not signs of ADD. The extemporaneous quality in his material does not leave a lot of room for nuance or subtlety- not that those are any sort of requisites in this medium. But just the same, it seems that none of his ideas are ever more than rudimentarily explored. And in some cases any way, that seems like an outright shame. The recent discovery of the long-lost masters of this 1981 recording (originally a vinyl-only release) led to its eventual re-release in the CD format. It’s a genuine wonder to behold. Jones’ recording career is nothing if not somewhat spotty and erratic. Among his twenty or thirty albums, this is by far the best. And, if nothing else, it serves as definitive proof that not only has Lew long been a vital force in the Portland folk music scene; but that this album was at least twenty years ahead of its time: because it sounds as fresh and pertinent, as contemporary, as the day it was recorded. Among the eleven pieces presented here, at least six stand out as some of Jones’ best work. On top of that, for this session, Lew surrounded himself with some of the best musicians in town at the time, including guitarist Al MacLeod (Country Al & His Pals) and bassist Don “The Rock” Weiss (Sleazy Pieces) and several notable solo performers, such as saxophonist Dominic Lombardi and longtime scene mainstay Neil Gilpin on violin (an instrument he promptly abandoned shortly after this recording). The title track is a sprawling sprint which neatly captures the wind and weather of Oregon in the winter time. The full ensemble is at hand from the start, captured mid-stride rushing headlong into the howling squall. MacLeod’s chicken pickin’ through the verses helps to punctuate the breezy aspects of the tune, like flecks of straw driving themselves into a phone pole. And a series of stinging guitar solos eventually give way to solos by Lombardi and Gilpin, giving way to a nice interplay between MacLeod and Lombardi. “Terwilliger Bridge” a longtime Jones mainstay, which he has recorded several times, here receives a stately reading. Dan Linn’s liquid slide guitar provides a skittering wash behind Lew’s clear, cool delivery. That coolness spills over into the smoky jazz of “You’ve Got To Know What You’re Doing.” With a nod to Jaco Pastorius, Weiss’ silken basslines luxuriously lay across the soft bed of Michael Weissenfluh’s gently brushed drums, while Lombardi and MacLeod trade tasty solos. Vocally, Lew sounds a bit like Art Garfunkel here, his satiny tenor smoothly blanketing the mix. Another nugget from the Jones goldmine, “I Think It’s Gonna Rain Tonight,” which has also been recorded a number of times, here benefits from a relaxed arrangement, which allows Country Al the opportunity to throw out a series of smoldering licks, reminiscent of James Burton and Mark Knopfler in the tidy compactness of their presentation. “Caught In A Dream” is a dreamily chromatic number with it’s antecedent’s in some of John Lennon’s early post-Beatles solo work. Lew’s acoustic guitar and Lombardi’s sparse sax interjections serving as the only accompaniment. Finally, “Nothing Left But Laughter” is a touching little statement as to the quality of Lew’s life twenty years ago. It is, however, very strange to think that little Justin Jones, Lew’s young son, who is captured laughing at the end of this song, is now in his mid-twenties. 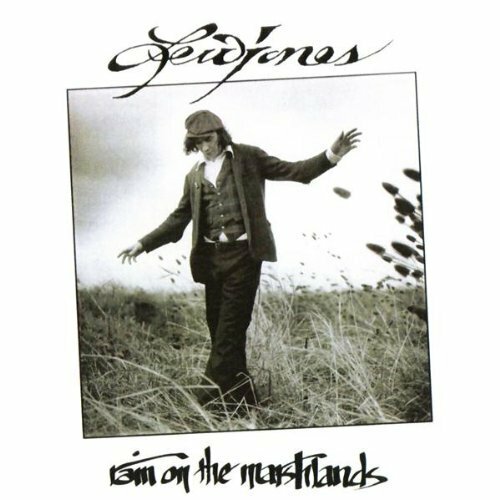 It is truly fortuitous that this important album has been re-discovered; because it is a great compendium of early Lew Jones songs, as well as a personal artistic high water mark- which stands as a stunning achievement, even twenty-two years after the fact. Immaculately recorded by Steve Sundholm (of the Sunn amplifier clan), this album features the singing and songwriting of Geoff Byrd, who briefly played locally with Geoff Byrd and the Sentenels. 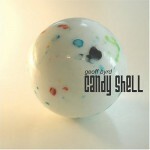 Byrd’s music synthesizes the styles of such great pop acts as Dave Matthews, John Mayer. Peter Gabriel, the Bee Gees, Fine Young Cannibals, U2 and a host of others. But his work is far from imitative. On the strength of his songwriting alone, this guy could be a huge success. But he has one of those voices, like Roland Gift of FYC, or Seal or Gabriel, or Mayer and Matthews (without some of the annoying vocal contrivances of the latter two) that is readily identifiable. He has the vocal grit of the aforementioned, with the clarity of Bono and the nasal honk of a Gibb family member. A great pop music voice. Nuance up the ying yang, breathy sincerity like you read about. And among the eleven songs presented here, every one is a winner. In fact the weakest entry of the lot is his rendition of the Bee Gees’ “How Deep Is Your Love,” to which he adds very little. The other ten original numbers are standout examples of finely crafted pop songs, peerlessly wrought by the top quality rock band with which Byrd has surrounded himself. The lead track, “Versus The World,” has a hook big enough to land a marlin. Over Byrd’s four, dancing acoustic guitar chords, Colby Hendricks’ thumping bass and Eric Storm’s big beat, tubular bells chime; while Matt Burnett adds prudently spartan piano phrasings and Keith Sommers, but the barest of wah-wah guitar. The uplifting chorus is automatically memorable, Byrd’s crooning style evoking Seal. With “Silver Plated,” Byrd reveals an effortless falsetto which, through the course of the album, he tends to overuse nearly to the point of cliché. Byrd’s falsetto comes into play again in the pretty waltz “I’m In Love.” Over Burnett’s lovely, cascading piano arpeggios and delicate strings, Geoff croons mellifluously, the overall quality of production, beyond reproach. “Wait For Me” maintains a feel similar to McCartney’s “Let ‘Em In.” That McCartneyesque eight-to-the- bar piano style is the basis for the rave-up “Brighter Day.” The beefy horn section returns to again add substance to the mix. If Geoff Byrd has a weakness, it is in the area of his lyrics, which, on paper, mostly scan like new age blather and adolescent platitudes. However, in the course of their delivery in the midst of a song, they fit quite indelibly. So it would seem that, as a songwriter, the words come after the melodies have been written for Geoff Byrd. Perhaps the occasional input of a Bernie Taupin-like lyricist would help Geoff to add a bit of lyrical depth to his songs. But other than that small quibble, it would seem almost certain that Geoff Byrd (and his stalwart backing band) are destined for very big things. His songs are memorable, the arrangements are tight as a drum. Geoff is an evocative vocalist, perhaps a bit over-wrought at times, but gifted with a facile instrument, availed of a remarkable vocal range and depth of emotion. Success seems not so much a possibility for this talented young man, as a certainty.